The wait is finally over! Google has officially rolled out the stable version of Android 9.0 for smartphones. 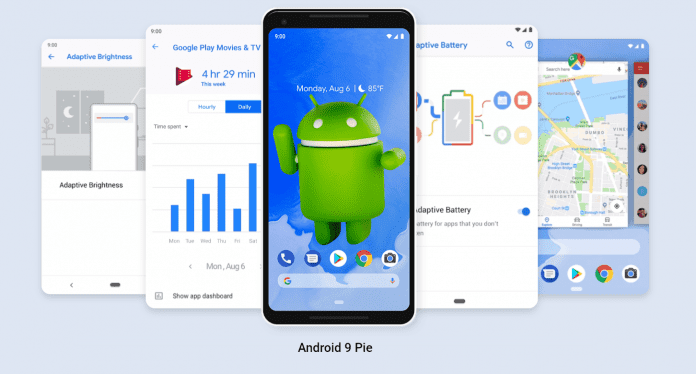 The next version of Android operating system is called Android 9 Pie and is now available on Google’s own Pixel Android phones via over-the-air (OTA) updates. These are Pixel, Pixel XL, Pixel 2, and Pixel 2 XL smartphones. “The latest release of Android is here! And it comes with a heaping helping of artificial intelligence baked in to make your phone smarter, simpler and more tailored to you. Today we’re officially introducing Android 9 Pie,” Sameer Samat, VP of product management, Android & Google Play wrote in the official blog that announced availability of the Android 9 P .
However, Essential phone has already started receiving Android Pie.”We’re proud to bring Android 9 Pie to Essential Phone the same day it’s released! Check your phone now for the update,” Essential tweeted out from its official twitter account. Coming to Android 9 Pie, the new OS “harnesses the power of artificial intelligence to give you more from your phone. Now it’s smarter, faster and adapts as you use it,” says Google. Features like Adaptive Battery and Adaptive Brightness uses machine learning to prioritize system resources for the apps, which means these will give your phone greater longevity and your phone’s screen will also adjust better to surrounding conditions. Further, new features like App Actions predicts what you’re about to do, so that you get to your next task more quickly. Also, Google has replaced the traditional three-button navigation bar with a new gesture-based system in Android 9 Pie. It is a new gesture-based system that’s similar to what Apple uses on the iPhone X. You can simply switch between apps and get to what you need more naturally by using gestures. Another feature ‘Slices’ brings relevant parts of your favorite apps to the surface. For instance, you can see real-time pricing and driver ETAs from services like Uber or Lyft when you are searching for a ride. However, Slices will not be available until the Fall for non-beta users. However, another notable feature of Google’s IO presentation about Android P was a broad feature called “Digital Wellbeing.” This feature includes ‘Do Not Disturb’ mode that blocks both sound and notifications, while ‘Wind Down’ mode will set a daily schedule to get your phone ready for bed and even turn fade your screen to gray to avoid any disturbance. Also, included in Digital Wellbeing is ‘App dashboard’ that shows users how much time they spend on apps through visual graphs and pie charts, whereas ‘App Timers’ will allow users to set time limits on apps and when that time is up, the app is paused for the rest of the day. However, these Digital Wellbeing features will be offered as a beta for Pixel users. These features will roll out only this fall for non-beta users. The signup for the beta is here. “We’ve built Android 9 to learn from you — and work better for you — the more you use it. From predicting your next task so you can jump right into the action you want to take, to prioritizing battery power for the apps you use most, to helping you disconnect from your phone at the end of the day, Android 9 adapts to your life and the ways you like to use your phone,” said Samat.